OBOSS.College is the next generation college management system that help you to focus on your core business – build more quality graduates, and attract more students. 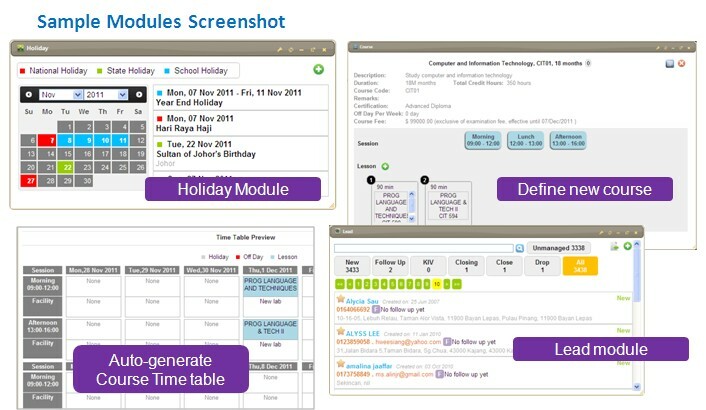 It automate and simplify your business operation from managing student information and activities, such as attendance, exam, etc, as well as keeping track of your college facilities and equipment in the campus. It helps you to be more organized and efficient without damaging our environment, by using less paper. The gadget-like modules allow you to choose the features you really need at the point of purchase. Thus, no more paying for features that might not be used at all. When there is a need for more features, you can just purchase the modules that meet your requirements, or get your own IT programmers to build in-house. The best part it, the user interface is very easy to master. 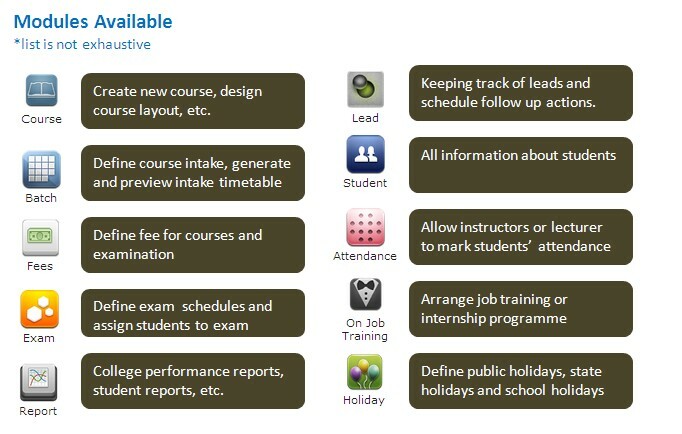 Thus it save you a lot of your staffs’ time to learn to use the system. It allow users to personalize their workspace to be productive at work. You can purchase OBOSS.college’s one time license to install in your own server, or subscribe to our SaaS model (Software As A Service) Model, where you only need to pay a low month subscription fee to use the system. Feel free to write to us at sales@origineit.com, or call us at 603-7957 1979 during office hour, so we can arrange a demo to you online or at your premises, whichever way at your convenience.